For some chapters, one LINKS-NSBE Jr. Chapter just isn’t enough. Three feels like a better fit for STEM stars like the Birmingham (AL) and Port City (TX) chapters. Both stretch their time and talents to run after-school engineering programs across multiple campuses in their cities. How do they do it? They say smart scheduling, responsive programming, and tapping a wide pool of talent (including Connecting Links and Heir-O-Links) are musts, along with healthy doses of laughter and connection. The chapter provides financial resources, technical expertise, and moral support for the program and its students. It facilitates field trips, covers competition fees, and gives laptops to seniors who fulfill the program requirements. And even though it’s a Services to Youth program, others contribute. Dentists in the Health & Human Services facet brought the Colgate Dental Van to one of the campuses and performed dental check-ins. Arts facet members helped make costumes for robots that had been programmed to sashay down a runway. An Heir-O-Link serves as an in-school advisor for one of their high school programs. The Port City (TX) Chapter in Houston takes a similar approach, encouraging members of all professional backgrounds to support its three LINKS-NSBE Jr. chapters. Links who run their own businesses or have more flexible schedules volunteer in the schools or support at robotics competitions, science nights, and career events. Members who can’t get there in person judge essay competitions or review program plans virtually. Astra Zeno, a teacher at Young Women’s College Preparatory Academy, appreciates the combination of technical mentorship and soft-skills training Links provide to the school’s Five Girls R.O.C.K. LINKS-NSBE Jr. chapter. Chartered in 2014, the group now has 62 high school members and 10 middle school members. 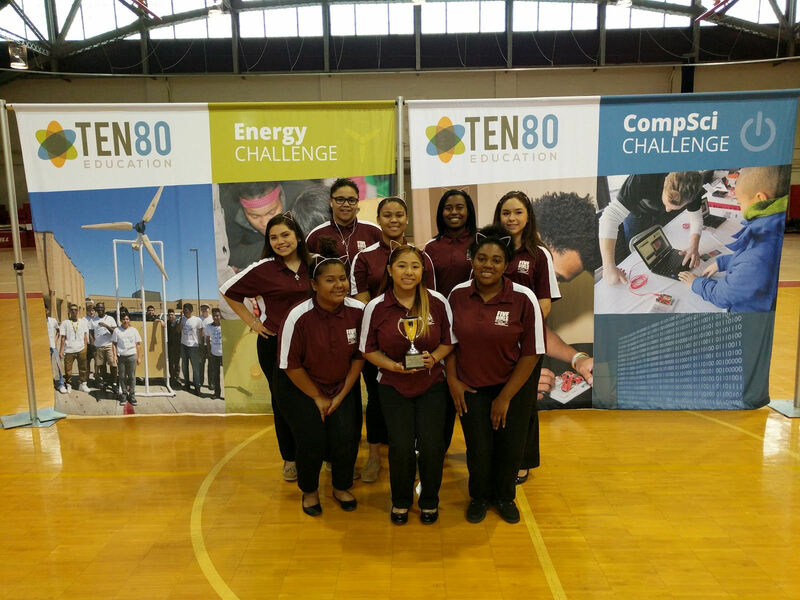 Participants have had the opportunity to travel and compete and win recognition at NSBE regional and national competitions. “The partnership has been life-changing for our students,” Zeno says. Consistency matters at the school level as well, notes Dr. David Jackson, principal of Lucile Gregg Elementary School, where the chapter has worked for seven years, even prior to the launch of a NSBE Jr. chapter. He attributes gains in student performance on district-level assessments to Links supporting students with time, materials, exposure, and encouragement. “While each year’s support is appreciated, it is the cumulative effect of your efforts that is moving the needle with our scholars’ understanding of science,” he says of the chapter’s longstanding commitment to the school. Tapping into members’ professional networks for volunteers and contracting with outside presenters help sustain and energize the programs, Alridge says. For example, the chapter works in partnership with the NASA African American Employee Resources Group to help Gregg Elementary students plan, build, and present scientific research projects each fall. Then it brings in professionals from WorleyParsons and the Society of Women Engineers to judge the entries. The comprehensive science fair program has grown to more than 80 individual and class projects, and all of the participants are eligible to take a chapter-sponsored trip to NASA afterward. After the science fair, the LINKS-NSBE Jr. chapter, a smaller subset of children, meets biweekly, with gatherings alternately led by the science teacher and Links or Links partners. Activities, like dissecting cow eyes or exploring geology concepts, are aligned with state science standards. The chapter facilitates and supports STEM learning—all with a goal of bringing sparks to students’ eyes and smiles to their faces. active or in-progress (*) LINKS-NSBE Jr. Chapters!